Advanced Holistic Center (New York) - Book Appointment Online! We are a holistic healthcare facility that integrates both the time-honored practice of Traditional Chinese Medicine and the technological advances of modern medicine. Our ‘East meets West’ approach provides you with the best in personalized, affordable, comprehensive and natural solutions for your health and well-being. Our practice focuses on both women’s & men's health issues, and traditional acupuncture pain management techniques. Please see our complete list of treatable disorders under their respective pages to see if we can help you! Acupuncture is a practice that utilizes ultra-fine filiform needles, gently inserted into the skin. These needles are inserted at specific points along meridians (also called “channels”) of the body. These meridians flow like rivers of energy throughout the body, providing nourishment and protection. Blockages in this flow are the source of all pain, and disease (both physical and mental) according to traditional Chinese medical theory. Once placed, the needles are manipulated by hand, heat, or electricity to provide additional stimulation. This process unblocks and reestablishes regular flow through the meridians, with the aim of improving energy and biochemical balance. Our ultimate goal in the course of treatment is to stimulate the body's natural healing abilities, promoting physical and emotional well-being. For those trying to conceive (and opting to use IUI or IVF), Advanced Holistic Center offers the proven power of acupuncture to increase the success rate of conception strategies by up to 42%. For infertility cases, we may recommend getting regular treatments over the course of the conception and pregnancy process. However, only receiving pre- and post-transfer acupuncture treatments can provide impressive results as well. When indicated, we also recommend treating the male partner’s infertility issues. It has been shown that sperm motility, morphology and count can be improved with acupuncture treatments. It is our goal to not only effectively treat your current condition, but to help restore your overall health and wellbeing. We utilize Traditional Chinese Medicine therapies such as acupuncture, neuro-functional electrical acupuncture, internal and external herbal therapies, cupping, gua sha, moxibustion, and non-needle techniques. One of the most important aspects of healing is knowing one’s body. To that end, we strive to teach you the importance of self-care through balanced nutrition and regular exercise. Come ready to learn! 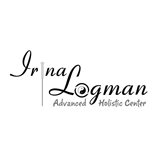 Advanced Holistic Center, founded by Irina Logman, L.Ac., provides a safe and friendly environment. Her personal experience being a mother, a former fitness instructor and dancer, along with her professional expertise in acupuncture and herbal medicine make her an empathetic and incomparable ally in facing your unique health challenges. Was a very great first experience with acupuncture and cupping! Everyone was friendly, mellow and welcoming. Office was slightly difficult to find and not directly labeled with advanced holistic. Overall a terrific experience and will be going back.